Celebrate the life, work and legacy of Ted Hughes in this exhibition, curated by final year English Literature students from the University of Huddersfield. 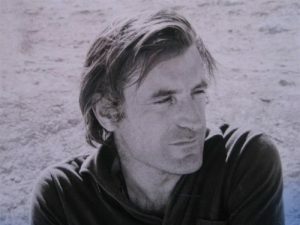 Ted Hughes (1930-1998) was amongst the greatest and most important British poets of the 20th century. Born in Mytholmroyd, and raised there and in Mexborough, he was also one of Yorkshire’s finest literary sons. 2018 marks the 20th anniversary of his death, and therefore an opportunity to celebrate his words and achievements. Featuring highlights from the Ted Hughes Network archive, the Donald Crossley archive and items on loan from a private collector, the exhibition is a treat for any fan of the poet’s work. You can find out more about the Ted Hughes Network here.